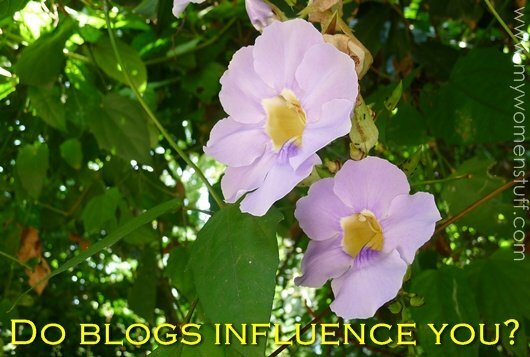 Home » Interesting Discussions » Your Say: Are you influenced by the blogs you read? Your Say: Are you influenced by the blogs you read? So, are you influenced by the blogs you read? It doesn’t have to be beauty blogs, although if you are here then you might be reading quite a few beauty blogs too right? 🙂 But it could be any blog. I’m a blog reader too and I say yes. Overwhelmingly so! If its a beauty blog, I want to buy the product that the bloggers rave about. Or I’m swayed to visit locales I’d never go to or to do things I might never do. And its not any blogger than can do that for me. Some blogs actually have the reverse effect on me, by making me not want to buy the featured item. Its weird right? I think because we are all social animals, different vibes and styles rub off differently on each of us. a resounding yes to this question. i think i get more influenced especially when it comes to food blogs. yes! especially yours! 😉 i get tempted to buy almost all the beauty products that u feature on your blog, but gotta control..! I trust your reviews more than the beauty magazines! yes! i definitely am! i’ve lost counts on beauty products I bought just because I’ve read good reviews from beauty bloggers! not from the ones from your blog, other blogs that talk about acne products. Acne products are always such hits and misses, I find. So sorry to hear that the products don’t work for you once you try it. a big and double affirmative YES, especially when the writer have similar skin type, skin tone, body shape, preference, etc with me. That’s one of the best ways to let lemmings die LOL! Oh my, the countless products I’ve purchased just because of you… I’d say I trust blogs more than mags these days. And they definitely have an influence on the stuff I buy. For example, my recent Clinique Chubby Sticks (craze) purchase was heavily swayed by the numerous raves online. Some products work and some don’t but it’s all part of trial and error.